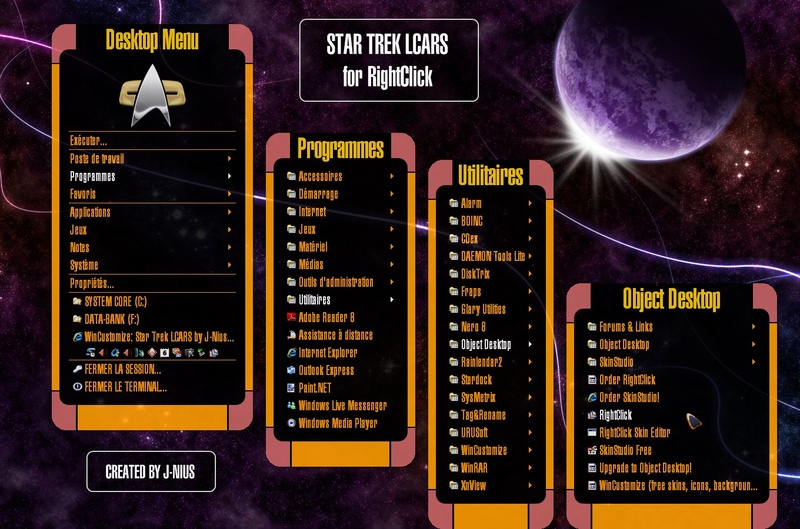 This skin is based on the LCARS interface from Star Trek. It was created with the intention of replacing everything on the desktop to keep it clean. This way, we can contemplate the wallpapers we show on the desktop. The badge is "Star Trek Com Badge" from michaelmknight (included with instructions in the file). The wallpaper is "Crystalline Cosmos" by Bebi Bulma. Thanks for the feedback bk13GarbageMan. Thanks so much for this well done skin!!! The quality is great and adds a much needed element to any LCARS theme. Thank you blazz. I appreciate your comment.